The Parish House for St. Paul’s Lancaster Street building was at 79 Jay Street, at the rear of the church building. It consisted of two buildings, both donated in memory of long-time members. 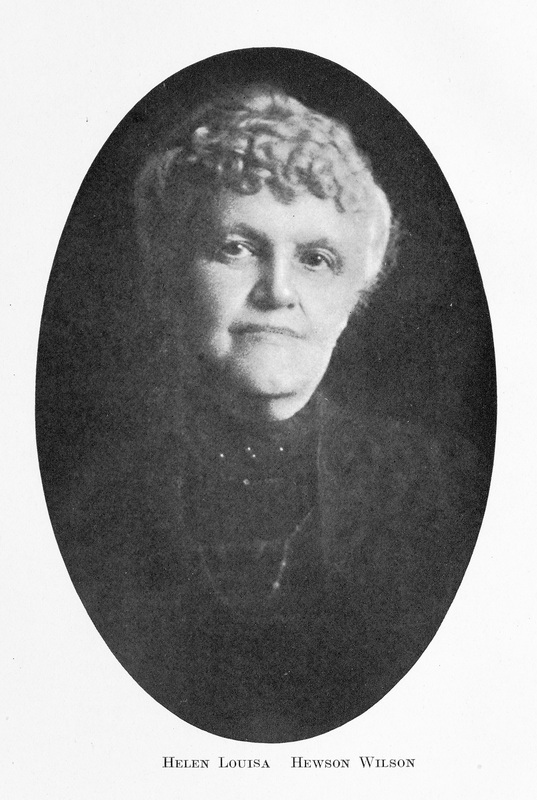 This photograph, from the 1920 Year Book, is the earliest that shows both sections. The older section on the east side was built in 1883 through a donation by John Henry Van Antwerp in memory of his wife Martha Nancy Wiswall Van Antwerp, who had died in 1880. 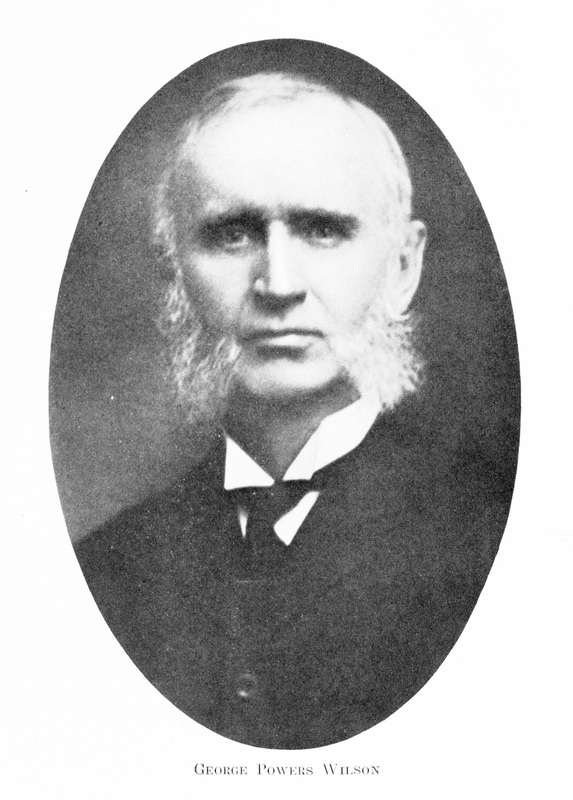 John H. Van Antwerp was first elected to the vestry in 1858 and became senior warden in 1862. 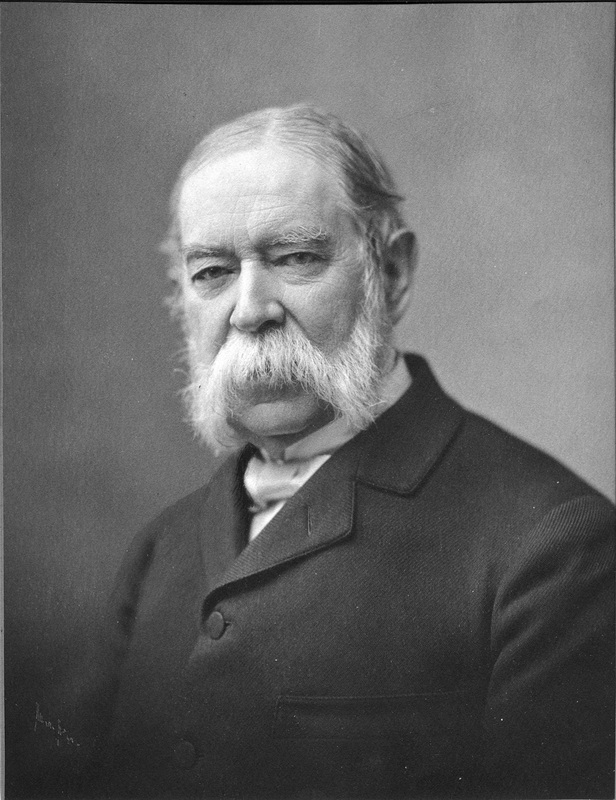 At the time of his retirement in 1902 he had served continuously as senior warden for an amazing 41 years. 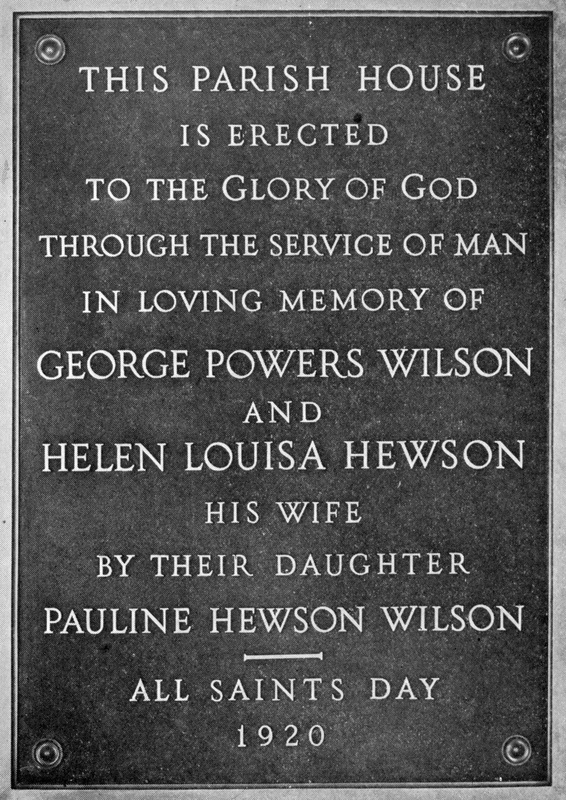 The western section of the Parish House was built in 1920, with funds donated by Pauline Hewson Wilson in memory of her parents, George Powers Wilson and Helen Louisa Hewson Wilson. George P. Wilson had served as vestryman for two periods (1876-1878 and 1884-1895) and two periods as warden (1895-1900 and 1908-1918), for a combined 28 years as vestryman and warden. There are very few photographs of the exterior of these buildings. The next that I’ve been able to find shows the Van Antwerp section in May 1964, with the date 1883 visible just left of center. 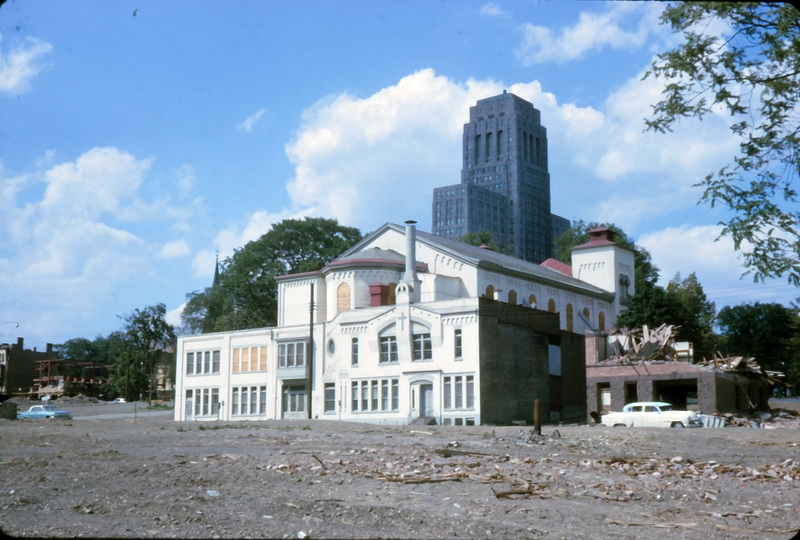 A few months later, in October 1964, a St. Paul’s parishioner took this photograph of the Parish House just before it was demolished. 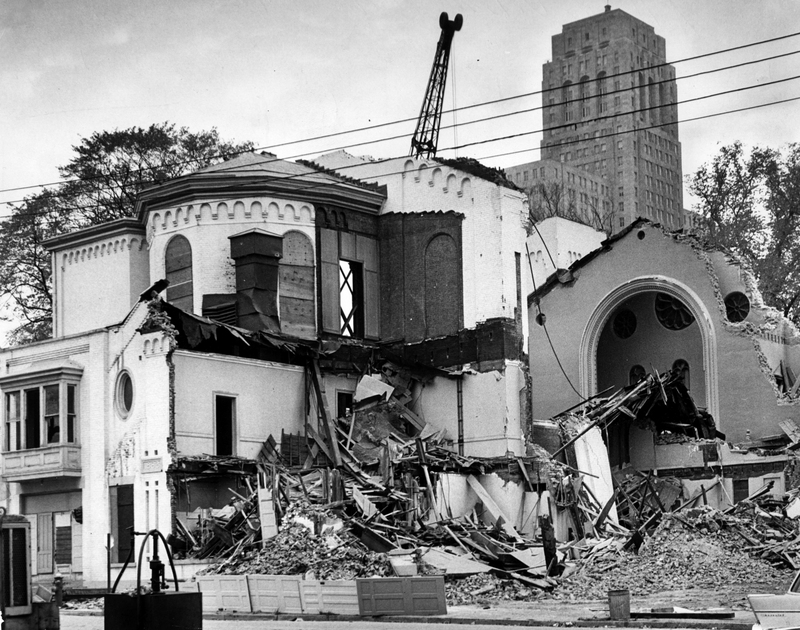 Several blocks to the south of the church had already been leveled, producing the only picture to show the entire building from a distance. The final image of the Parish House (from the Times-Union archive), taken a few days later, shows the buildings during demolition, with the 1883 date again clearly displayed. This entry was posted in Lancaster Street Building, Uncategorized on September 28, 2015 by Paul Nance. Church records no information about how housing was provided to St. Paul’s earliest rectors. Most of them seem to have rented or purchased houses in the neighborhood, although as late as 1869 J. Livingston Reese (rector from 1864 until 1891) was boarding at 67 Chapel Street, one third of a mile from the church. The first mention of plans for a rectory appears in our records in 1865, when the Sunday school donated $1,200 for purchase of the lot to the west of the church for that purpose from Miss Kate Wilson. This was an impressive amount of money, with an approximate current value of $18,000, at a time when St. Paul’s had one of the largest Sunday Schools in the city, with almost 500 students and about 50 teachers. In 1867, funds for construction of the building were raised by a subscription and by the women of the parish. There is some question about when the rectory was completed. Reese, Its first occupant, reported that he was first able to welcome guests there on New Year’s Day, 1870. But church historian Thomas H. C. Clemishire (whose father, John Clemishire was a carpentry contractor on the project) writes that contracts were let in June 1870. A January 1871 newspaper article says “A new rectory is already completed and occupied”, but adds information about what its dimensions and cost will be “when completed.” [Albany Evening Journal 28 Jan 1871] Perhaps it is best to say, as did Milton W. Hamilton in his 1977 history of the parish, that it “was built in 1870-71,” and that construction may have proceeded in stages. The rectory was “sixty feet in length by twenty-four feet in width, and three stories in height.” [Albany Evening Journal 28 Jan 1871]. The best photograph we have was probably taken about 1900. The rectory (80 Lancaster) is immediately to the right of the church. 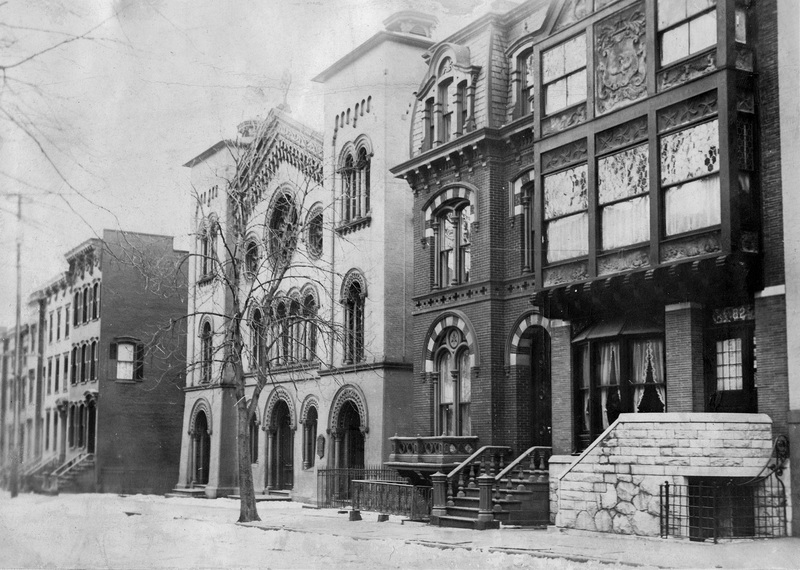 The house on the far right (82 Lancaster) was built in 1884 as the home of Anna Van Allen Jenison and her husband E. Darwin Jenison, Vice President of the Commerce Insurance Company. Known as “the Swiss Chateau,” it was a wedding gift from Anna’s parents, Mr. and Mrs. Garrett A. 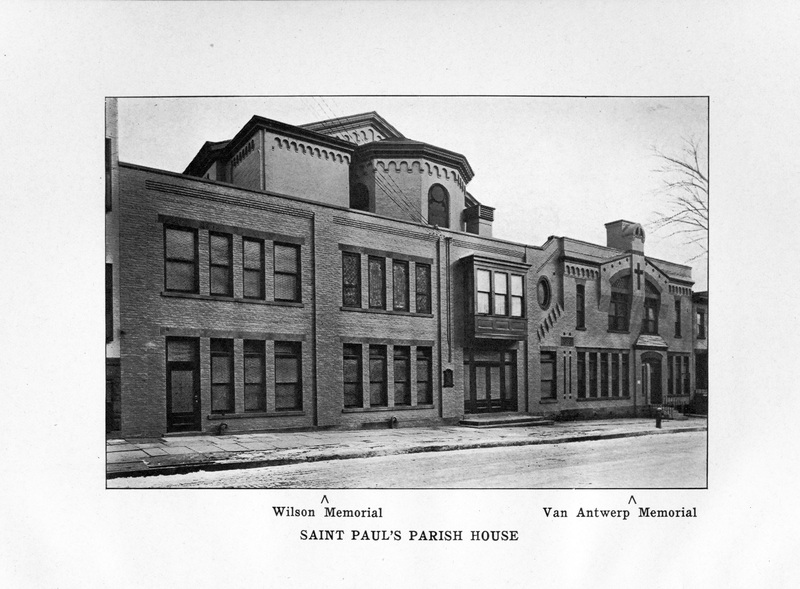 Van Allen, who were long-time members of St. Paul’s. I have been able to locate only three photographs of the Lancaster Street rectory. The earliest is the best, taken about 1900 and showing both church and rectory in fine detail. Then next two are snapshots that were taken in 1946 during an insurance appraisal. Sadly, the fourth photograph was also most likely the last, taken shortly before the church and rectory were demolished in October 1964 for construction of the South Mall. 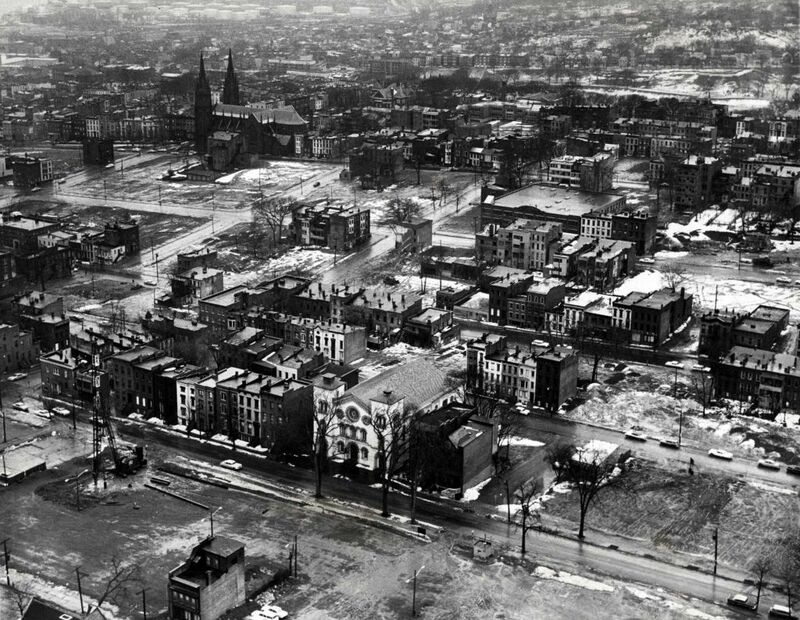 Much of the neighborhood was demolished by mid-1963, so this undated photo may have been taken during the winter of 1963 – 1964. The church stands out clearly in the foreground, because its reddish or buff-colored brickwork had been painted white in 1960. The rectory still exists, but is difficult to see behind the bare trees. This entry was posted in Clergy, Lancaster Street Building on September 24, 2015 by Paul Nance. 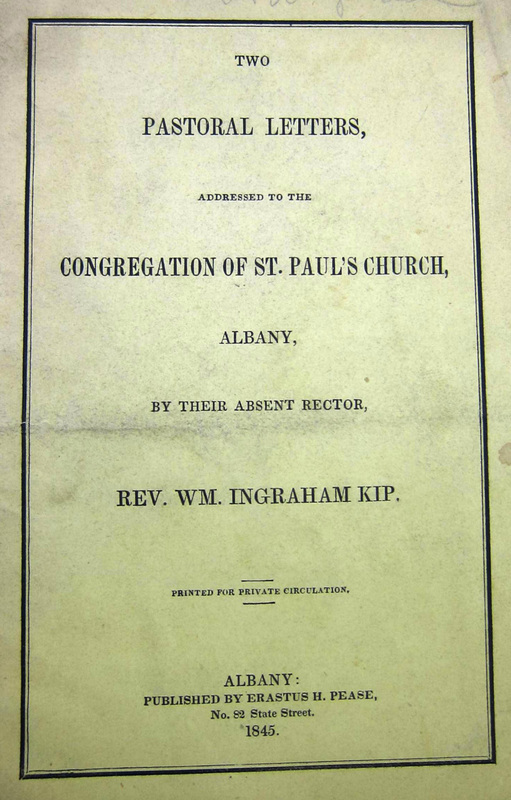 During its first century, St. Paul’s Church supported three chapels in the city of Albany. They were all located in areas of the city that were underserved by other churches, and they were all “free,” meaning that they were supported by pledges, rather than by the sale and rental of pews, as was the case at St. Paul’s until 1927. 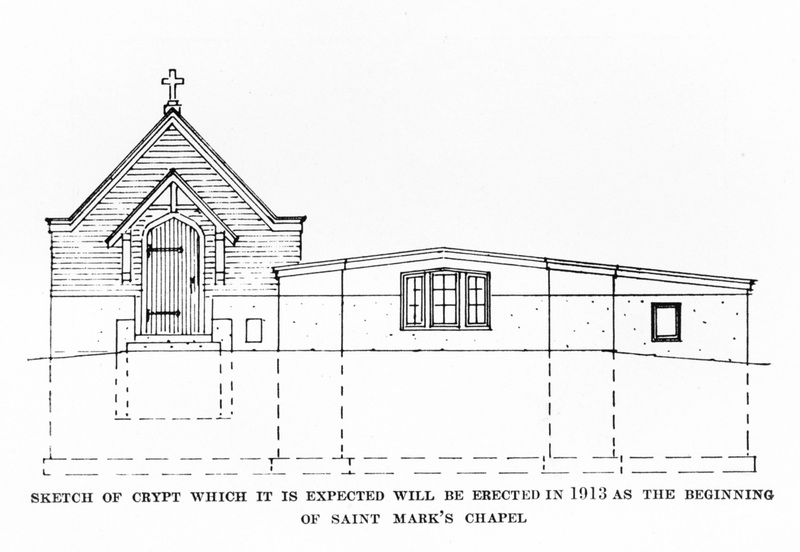 Today’s post concerns the last of these, St. Mark’s Chapel, which existed for five years, from 1909 until 1913. 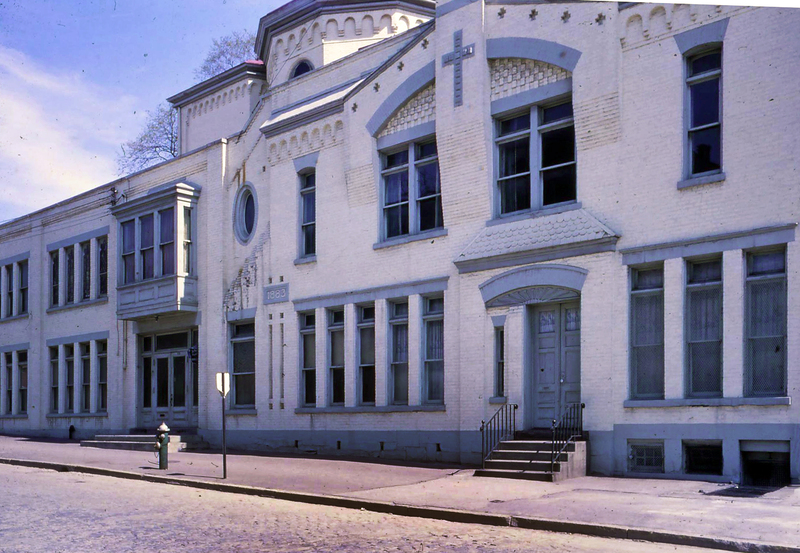 St. Marks was a project of St. Paul’s Chapter of the Brotherhood of St. Andrew (“For the spread of Christ’s Kingdom Among Men”), which was chartered November 17, 1891. The Brotherhood was a small organization (rarely more than a dozen men), headed by the rector and with membership drawn from prominent parishioners. Under the auspices of the Brotherhood of Saint Andrew of Saint Paul’s Parish, a chapel will be established in the Delaware avenue section of the city sometime during the month of December. This work will be in line with similar efforts made by the Parish in past years. 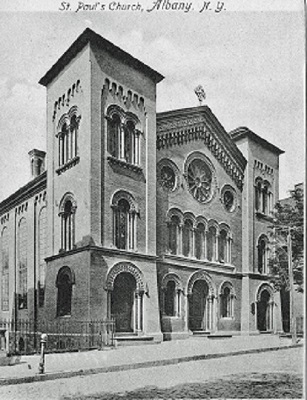 Many of the parishioners will remember Saint Paul’s Free Chapel, on lower Madison avenue, which was located in a fire engine house purchased from the city in 1867, and the night school which was maintained to give instruction in the “three R’s” of elementary education. This chapel was maintained until 1884 when it was sold. Then the “Pine Hills” section of the city began to be built up and a Sunday School was established to meet the needs of that section. Out of this came a reading room on Ontario street and finally the building of the present Saint Andrew’s Church, which became an independent Parish in 1899. St. Mark’s was formally opened in January 1909 by the Rt. Rev. 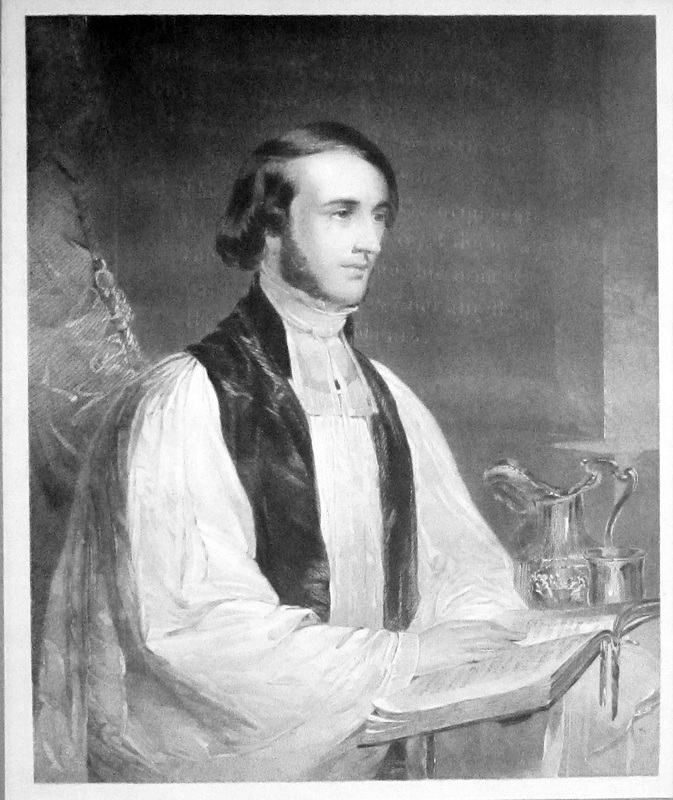 Richard H. Nelson, D.D., Bishop Coadjutor of Albany. The building, a remodeled storehouse, was located on what is now called Oneida Terrace, just off of Morton Street and only a few blocks from Delaware Avenue. The mission seems to have been a success from the beginning. One month after opening, plans were made to provide additional seating. 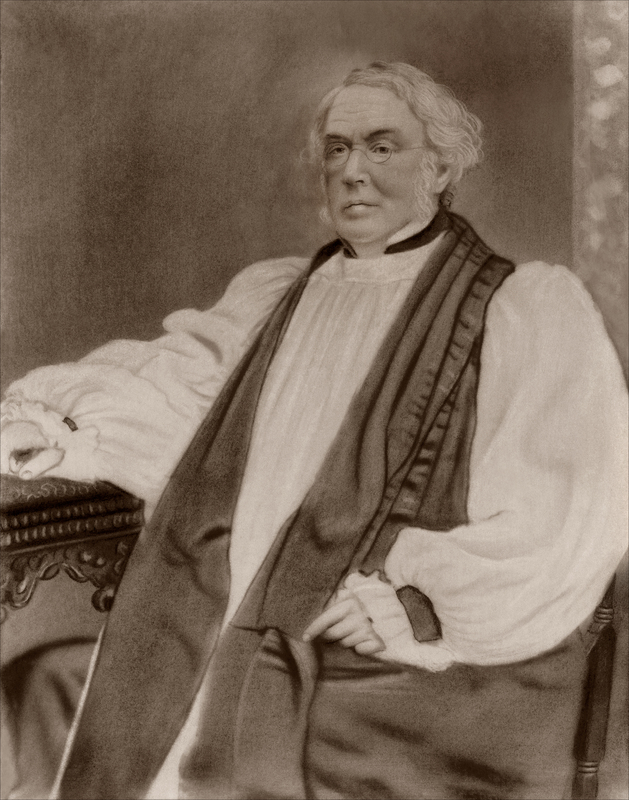 And a year later, with a Sunday School class of twenty to twenty-five and attendance of forty to fifty at the services conducted by St. Paul’s curate Arthur H. Beaty, there was discussion of moving to a larger building. The work of the Brotherhood during the past six months has been almost exclusively given to the work at St. Mark’s Chapel. About seventeen hundred dollars have been given or pledge for paying for two lots on Delaware avenue as a site for a new chapel, and we expect to raise the balance, one thousand dollars during the winter. and one an elevation view of the church itself. The school year closed May 26, 1913, with the expectation that when work was resumed in the fall, it would be in a chapel building of our own. 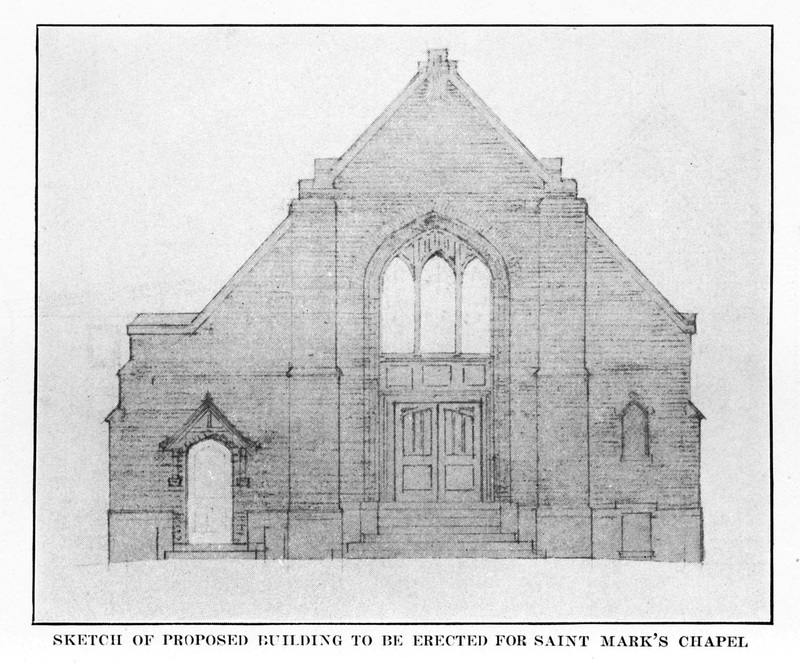 Owing to the possibility of too many Churches being erected in the Delaware avenue section of the city and resulting in ‘religious competition,’ the erection of a building for St. Mark’s has been deferred, and the school for the Chapel is for the present merged with the Church School. This entry marks the end of an important experiment in community outreach for St. Paul’s. Year Books over the next dozen years continue to show balances in the St. Mark’s Chapel Account, but with no indication of plans to proceed with the project. It is possible that St. Paul’s Church decided that the Trinity Institute (begun in 1912 in Albany’s South End, with Bishop Doane’s blessing and financial support from all the diocese’s congregations) would be a more effective vehicle for social programs. This entry was posted in Free Chapels on September 7, 2015 by Paul Nance. 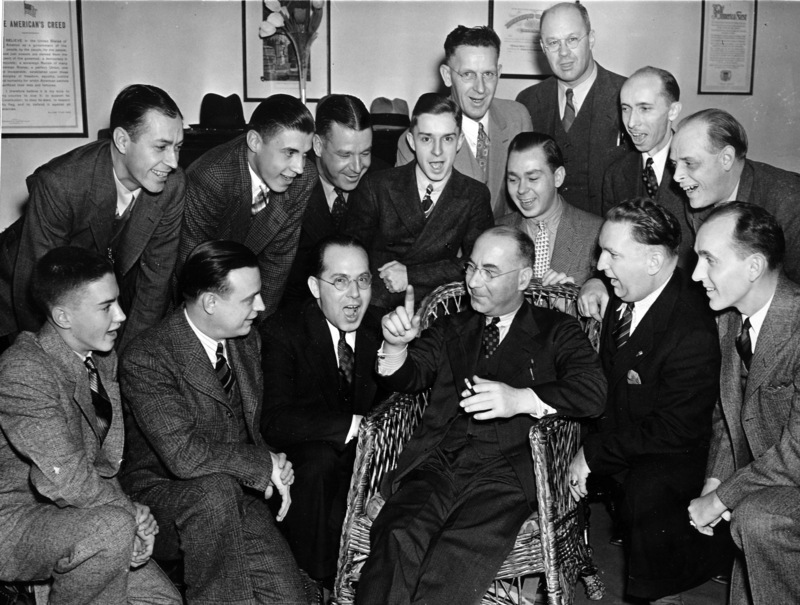 This photograph has hung in the robing room for choir men for many years, but we were never sure of the occasion represented, or the names of those pictured, other than T. Frederick Candlyn (St. Paul’s organist and choirmaster 1915 — 1943), who is seated in the center. Thanks to a scrapbook compiled by parishioner Grace McKinlay Kennedy in 1940, we now know that the photograph was published in the Knickerbocker News for April 22, 1938, with all explained. 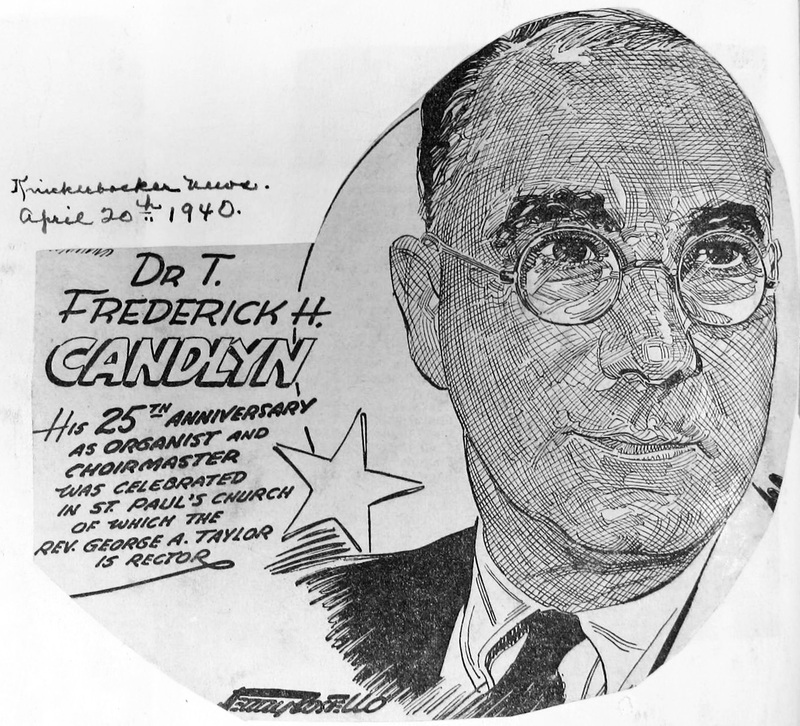 In the same scrapbook, Grace McKinlay Kennedy included this drawing of Candlyn, published in the Knickerbocker News April 20, 1940, on Candlyn’s 25th anniversary at St. Paul’s. The scrapbook also explains a photograph of Candlyn that had puzzled us all. 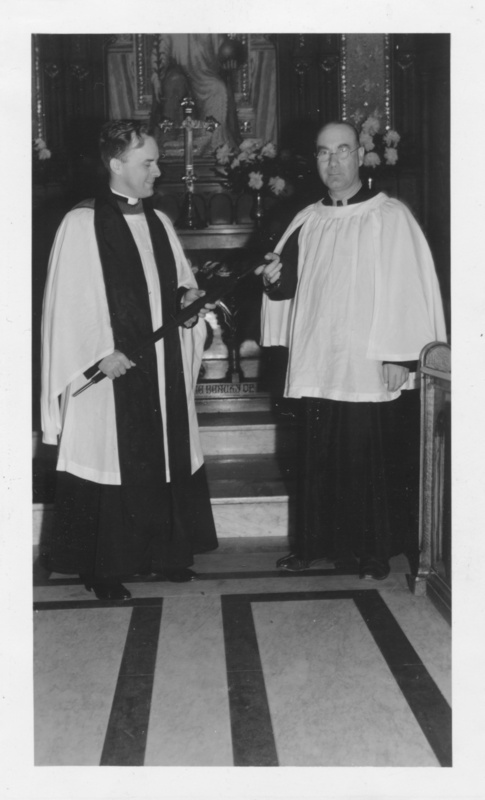 It shows Candlyn with George A. Taylor (St. Paul’s rector 1932 — 1948) standing in front of the chancel, with Taylor handing Candlyn what appears to be an umbrella. This photograph, she tells us, is not from Candlyn’s 25th anniversary as organist and choirmaster. It was taken two months later, in June 1940, when Candlyn was honored for twenty-five years’ perfect attendance at Sunday School. This entry was posted in Candlyn, Choir on September 3, 2015 by Paul Nance.